Woman thrown from auto...Georgia Street Hospital, 1951. 2 images. 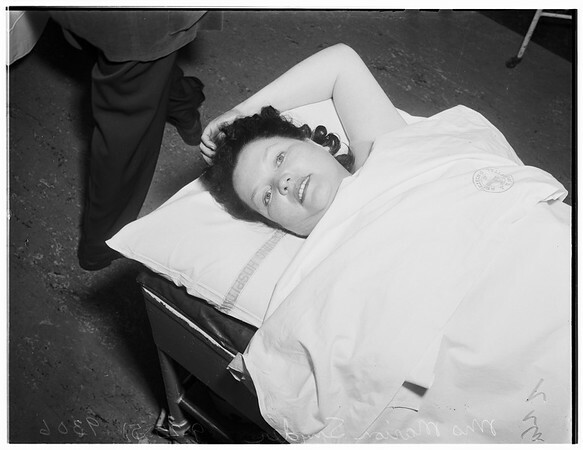 Woman thrown from auto...Georgia Street Hospital, 25 September 1951. Mrs. Marion Snyder.